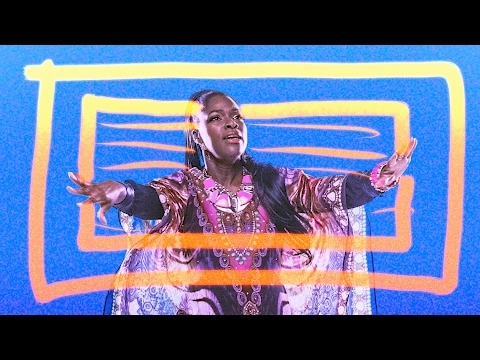 Fronted by London-born Nigerian singer Eno Williams, Ibibio Sound Machine is a clash of African and electronic elements inspired in equal measure by the golden era of West African funk, disco, modern post-punk, and electro. The intervening time since their self-titled debut album in 2014 has been spent forging a reputation as a high-energy live act appearing on stages such as Later…with Jools Holland, Glastonbury, Roskilde, and the BBC 6 Music Festival, as well as at iconic venues such as Shakespeare’s Globe Theatre in London as part of Lauren Laverne’s “Wonder Women” series. A lively fusion of politically conscious Afro-beat electro pop. The eight-piece collision of Nigerian disco-funk and modern Western electro and post-punk erupted from nowhere, armed with an eye-wateringly impressive stockpile of dance floor stormers.